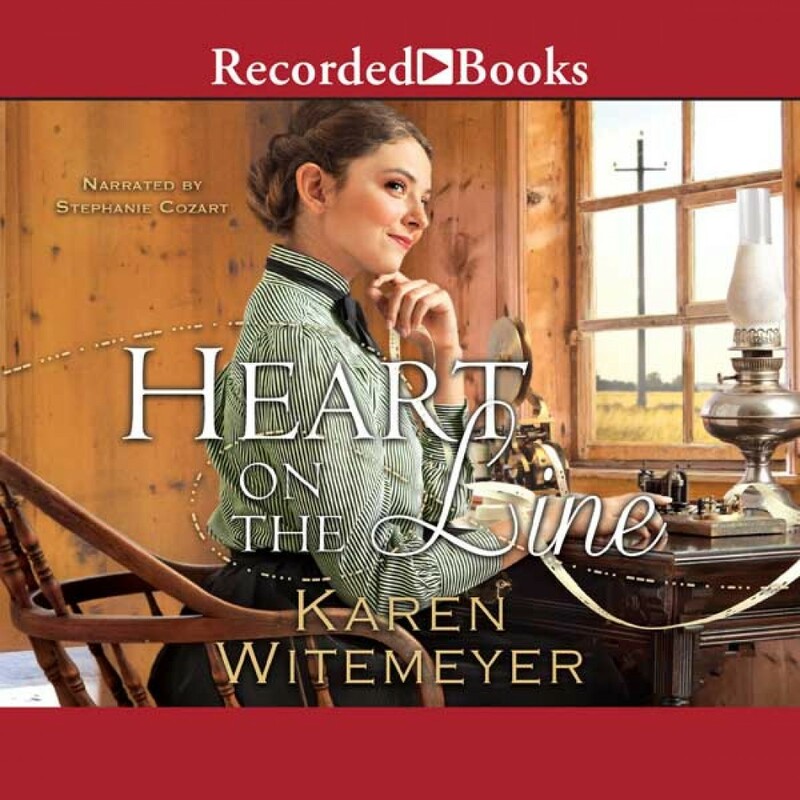 Heart on the Line | Karen Witemeyer | Audiobook Download - Christian audiobooks. Try us free. Witemeyer returns with her trademark blend of adventure, romance, and humor. Grace Mallory is tired of running, of hiding. But when an old friend sends an after-hours telegraph transmission warning Grace that the man who has hunted her for nearly a year has discovered her location, she fears she has no choice. She can't let the villain she believes responsible for her father's death release his wrath in Harper's Station, the town that has sheltered her and blessed her with the dearest friends she's ever known. Amos Bledsoe prefers bicycles to horses and private conversations over the telegraph wire to social gatherings with young ladies who see him as nothing more than an oddity. His telegraph companion, the mysterious Miss G, listens eagerly to his ramblings every night and delights him with tales all her own. For months, their friendship--dare he believe, courtship?--has fed his hope that he has finally found the woman God intended for him. Yet when he takes the next step to meet her in person, he discovers her life is in peril, and Amos must decide if he can shed the cocoon of his quiet nature to become the hero Grace requires.